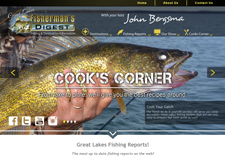 Activities, Attractions, Events, Guides, Tours, Hunting, Fishing and Soft Adventure. 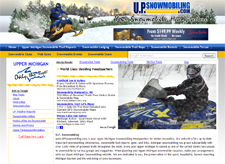 A unique Snowmobiling Website full of great information on Snowmobiling Websites, Snow Web Cams, Snowmobile Associations, Snowmobiling Photos, Maps, and More!. 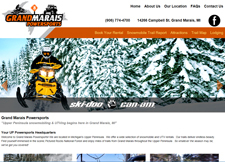 Grand Marais Powersports is located in Michigan's Upper Peninsula. We offer a wide selection of snowmobile and UTV rentals. Our trails deliver endless beauty. Find yourself immersed in the scenic Pictured Rocks National Forest and enjoy miles of trails from Grand Marais throughout the Upper Peninsula . So whatever the season may be, we've got you covered! 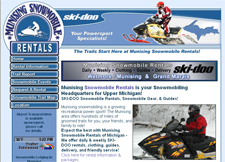 Munising Michigan Snowmobile Rentals offers snowmobile rentals, trail report, snowmobile events, trail map, locations, and much more! 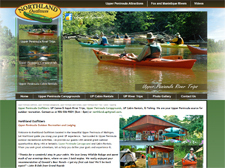 Northland Outfitters offers guests of all ages a variety of canoe and kayaking excursions. As web designers - we not only designed the website.....we experienced it first hand - a must see!